Full-auto pistol. Use-full as a close quarter back-up weapon or as a fun at-home target shooter. 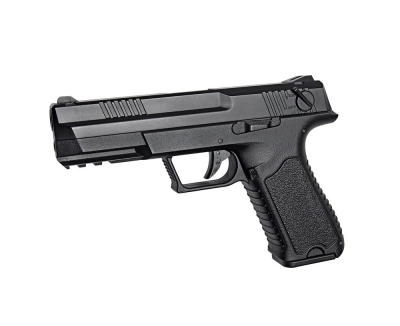 This sleek Airsoft pistol have an aggressive modern look and is powered by a rechargeable battery, stored inside the gun. The slide mounted selector offers semi or full-auto mode of fire. Shooting fun for every one.